K-pop boy band Block B will be resuming their career under a new company following their legal dispute with their agency. The group will transferring from Stardom Entertainment to Seven Seasons agency. 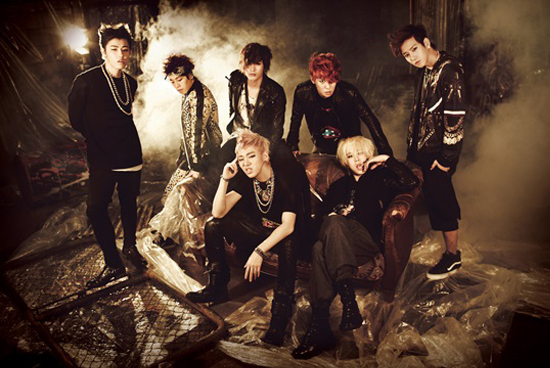 Block B and Stardom Entertainment have settled their issue pertaining to the former's exclusive contracts. Back in January, the seven members of Block B sued Stardom Entertainment to annul their contracts, saying the company failed to pay their income for 2012. The group said Stardom failed to pay them fees from original soundtrack participation and fan club inauguration. Stardom denied the accusations. Block B alleged that Stardom's CEO, a Mr. Lee, collected 70 million won (P2.8 million) from their parents and ran away. The money was supposed to be for promotion. Stardom claimed the man who ran away with the money was hired as a manager but pretended to be the CEO. Lee was found dead in his home last May in what authorities said was a case of suicide. Last June, Block B lost its case when a Korean court dismissed the lawsuit they filed against Stardom. The court said there was not enough evidence to issue an injunction to stop the boy band's exclusive contract with the agency. While the court found that the income in question was not settled properly, it ruled that it did not mean that Stardom intentionally kept it. Despite the ruling, Block B vowed to fight Stardom for violating management obligation and contract. They said they would not promote under Stardom Entertainment. Under the new agreement, Stardom has transferred the boy band's exclusive contracts to Seven Seasons, according to ENewsWorld. “After around two months of negotiations, results that satisfied all parties were carried out. We won’t be holding back on supporting Block B during its activities,” the site quoted Seven Seasons as saying. Stardom Entertainment said it will continue to support Block B. Block B is composed of Zico, B-Bomb, Taeil, Kyung, P.O, Jaehyo and U-Kwon.